The Pomsky is a rising star in the designer dog world, so we’ve compiled a list of Pomsky names perfect for this unique and intelligent crossbreed. Are you bringing a Pomsky dog home? If so, then congratulations! We know that getting a new dog is exciting but it can also be a little nerve-wracking. There are a number of things you are going to need as a new dog parent, and one of those things is the perfect dog name. But how do you find a name that’s as special as your Pomsky dog? If you’ve got the Pomsky then we’ve got the names! In fact, this article lists nearly 260 Pomsky names perfect for you and your pooch! But before we begin, let’s take a look at why picking the right name for your four-legged friend is so important. In spite of what some people may think, naming your dog is not all fun and games. There is a method to the madness, and it’s pretty important to understand just how big of a deal naming your pooch really is. Although naming Fido should be fun, it should also take some time and consideration. Remember, your Pomsky’s name is going to be the first human word he learns, and it’s going to segue the both of you into future training. Of course, that’s not the only thing to consider when considering Pomsky puppy names. You will also want to think about yourself. It will be you in the backyard calling for Stinkerbell to come inside. Or you at the dog park trying to convince Mr. Poopers that it’s time to go home. And while weird or silly dog names can be fun, they may also provoke some befuddled looks or comments from strangers within ear-shot. Then again, if you’re all about eliciting some side-eye, then have at it. The name you give your Pomsky is totally up to you. But remember, some names are going to stick with your Pomsky better than others. What are we talking about? We’re talking about syllables. Experts have found that most dogs latch on quickest to two syllable names like Bailey or Milo. So, if you want your Pomsky to learn his name as quickly as possible, we’d suggest sticking to names that are easy for him to remember. But what if you’re in love with three-syllable names like Emily or Oliver? Experts have found that three-syllable names work pretty well too. One-syllable names like Scout or Roo are also good contenders. However, try and stay away from Pomsky dog names that are over three-syllables long, unless you plan on giving your pup a nickname. Names like America or Felicity, for example, may be more difficult for your pooch to hold on to. Names like Maximillian, on the other hand, can be shortened to Max. If it all seems a little overwhelming, don’t worry. We’ve done the heavy lifting for you and would like to present you with a list of 260 perfect Pomsky names to choose from! Let’s begin with this year’s most pup-ular dog names, according to the American Kennel Club. Are you into trends? Then you’ll love this list of the 20 most popular dog names of 2018! Keep in mind that while these names were not picked specifically with your Pomsky in mind, they are still pretty adorable. It’s no wonder these are the top 20 dog names of this year! So maybe you’re not feeling those popular dog names and want something a little more unique. After all, your Pomsky is one of a kind, so shouldn’t his name be? That’s what we thought, so behold a list of 20 of our favorite unique and unusual Pomsky names! Don’t see the unusual Pomsky name you’re looking for? That’s okay. We’ve got an even bigger list of unique dog names here! If you have a female Pomsky and are looking for something as sassy and girly as she is, then look no further. We’ll start you off right with a list of 20 Pomsky names perfect for that Pomsky princess of yours. If these 20 female Pomsky names simply weren’t enough, then visit us here for more female dog names! If you’ve got a Pomsky boy in your life, then we’ve got the names for you! Here is our list of 20 rough-and-tumble Pomsky names for that masculine little fur ball of yours. For a complete list of more male Pomsky names, click right here! If you love to keep people guessing, or you just love boy names for girls and girl names for boys, then this is the list for you. These are 20 of our favorite unisex Pomsky names for that dog who refuses to be defined by gender! You knew from the moment you laid eyes on your Pomsky that he was special. It was clear he had the most swag in his wag, and of course, he charmed his way right into your heart. So, doesn’t this badass dog deserve a badass name? We think so! Below are 20 of the coolest Pomsky names around. If this list isn’t cool enough for you, we’ve got more. Just click here for even more cool Pomsky names! Is your Pomsky the brainiac of his time? Are his intellect and wit simply incomparable? If you’ve got a genius on your hands, then you’ll need a name that suits him. Check out these 20 names perfect for your brainy Pomsky pup. There’s a foodie in all of us. Or at least there is a foodie in me. I simply couldn’t resist offering a list of perfect Pomsky names inspired by tasty treats to get your mouth watering! I love alliterations almost as much as I love food. Since your Pomsky is a Pomsky, we couldn’t leave out Pomsky P names. Your Pomsky is the cutest. Duh. He’s going to need a name that’s on his cuteness level, and that’s where we come in! Check out this adorable list of too-cute-names for your too-cute Pomsky pup! If you’re dying to see an even larger list of the cutest dog names ever, then you have to visit us here! Pomsky dogs are pretty unique when it comes to looks. Part Pomeranian and part husky, these fluffy pups are irresistibly adorable. 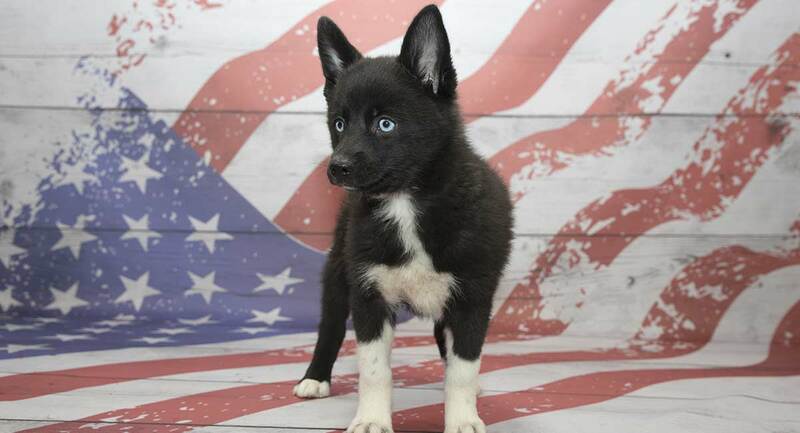 Not to mention, some Pomsky dogs even have blue eyes! We love the idea of giving your Pomsky a name that announces his unique look right off the top! Check out our favorite Pomsky-look names below. If you’re a music lover, then you’re in luck. Below is a list of 20 musical Pomsky names perfect for your outstanding pup! I’ve Found the Perfect Pomsky Name – Now How Do I Teach It to My Dog? So, you’ve found the perfect name for your Pomsky? Congratulations! Now it’s time to teach it to him! But how long will it be before your Pomsky learns his name? Most experts agree that it usually takes dogs anywhere from two days to a week before they get their names down. Don’t worry, it’s totally easy to teach your Pomsky his name. All you need are a bag of healthy treats, some time, and lots of patience. Make sure you start out somewhere quiet and free from distractions. This could be your living room, your backyard, or somewhere similar. We love utilizing treats in training. Treats typically seem to work best with most dogs and is the quickest and easiest way to inform them that they have done something good that warrants a reward! Praise is also a good go-to when training. This means big, happy faces and a high-pitched, excited voice. When teaching your Pomsky his name, we suggest getting his attention. Say his name in a high, friendly voice. When he looks at you, say “Good boy!” and offer him a treat. Repeat this training session several times a day for five to ten minutes a session. While it’s pretty simple to teach your dog his name, you will want to be careful. 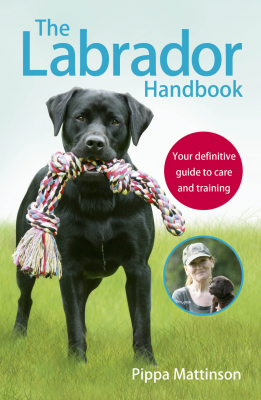 Positive reinforcement works best when training any dog, and name-training is no different. Positive reinforcement means reward-based systems that include treats and lots of praise. You’ll want to stay away from scolding and especially physical punishments. 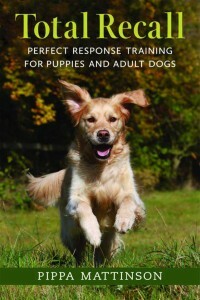 Studies are consistently proving that the quickest and easiest way to train a dog is by using positive reinforcement. You want your dog to associate his name with something positive. That way he will always come when called and he will know it means something good for him. Remember, if Fido hears his name in association with something positive, it will be a lot easier to get it to stick. So, what if you still haven’t found the right name for your Pomsky? If that’s the case, then don’t worry. We’ve got a massive list of even more dog names right here. If you did find the perfect name for your Pomsky on this list, we would love to know! Share which name you chose in the comments below! Juliane Kaminski et al. Word Learning in A Domestic Dog: Evidence for “Fast Mapping.” Science. Mary B. Harris. Some Factors Influencing Selection and Naming of Pets. Psychological Reports. Ai Kutsumi et al. 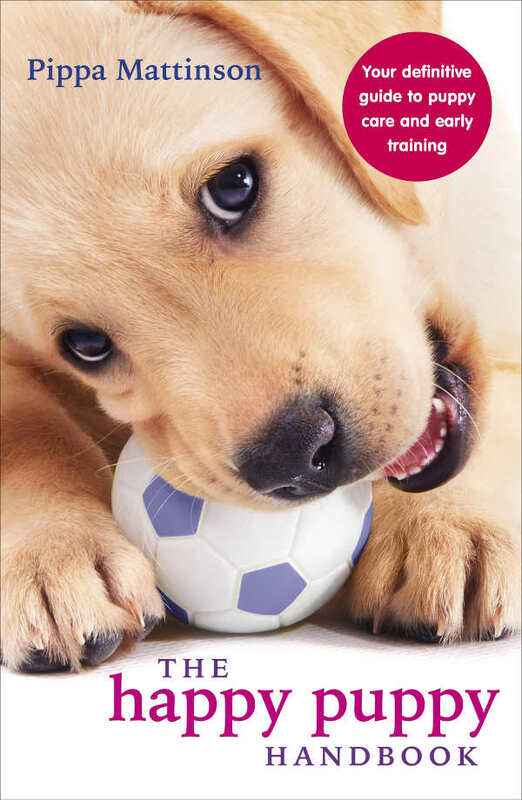 Importance of Puppy Training and Future Behavior of the Dog, Journal of Veterinary Medical Science . 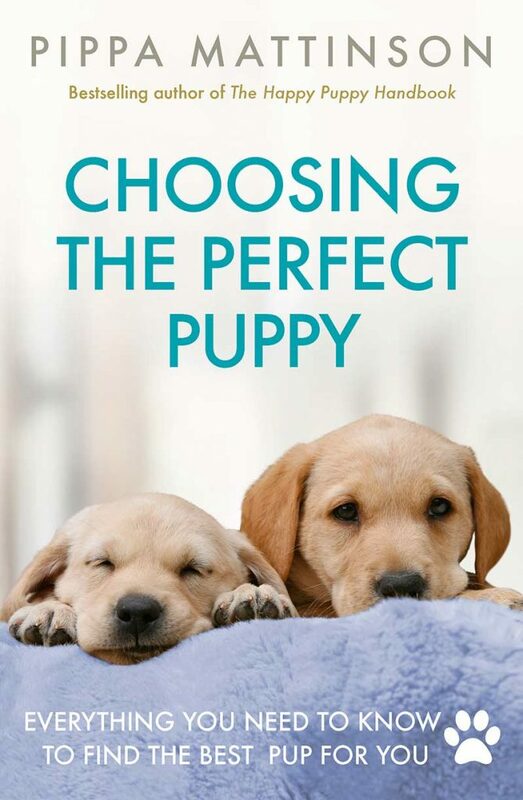 Ian Dunbar, Before & After Getting Your Puppy: The Positive Approach to Raising a Happy, Healthy & Well-Behaved Dog. Brian Hare et al. Human-Like Social Skills in Dogs?, Trends in Cognitive Sciences. Emanuela Prato-Previde et al. Is the Dog-Human Relationship an Attachment Bond? An Observational Study Using Ainsworth’s Strange Situation, Behaviour.